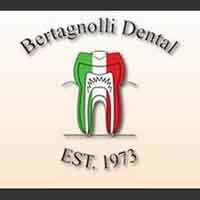 As an implant dentist in Westminster, Dr. Bertagnolli, of Bertagnolli Dental, has extensive experience in cosmetic dentistry. If you need to have an implant put in, you want a specially trained dentist in dental implants to give you a healthy smile you can be proud of. Our courteous staff will help you make the decisions so you will receive the best in dental care. Surgically placed directly in the jawbone, a dental implant is an artificial tooth root shaped like a screw. When anchored, the implant fuses with living bone. They become teeth that look and feel just like your own! It’s important to have an implant dentist with skill. In addition we provide general dentistry, dentures, teeth whitening, veneers, crowns and general check-ups/teeth cleaning and sedation dentistry for the entire family. Experience the friendly approach to dental care. Call our office today when you are looking for an implant dentist in Westminster.